Popularly known as “The Land of Beaches”, Goa is famous as the colorful and vibrant city that is featuring as a house for all those who love spending time on pristine beaches, in the nightclubs and to the Portuguese era. Goa is the smallest Indian state that has been under the rule of Portuguese till 1961 and later it was merged into India. Apart from its rich history, the state also houses with the famous tourist attractions such as beach, Portuguese built heritage site, cathedrals and many more. Baga Beach, Candelum Beach, Basilica De Bom Jesus, Fort Agauda are some of the best attractions of the place. Basilica of Bom Jesus is a prominent tourist spot in Goa. The cathedral is centuries old which served as the final resting ground of St. Francis Xavier. Then there is Fort Aguada, a beautiful place that dates back to 17th century. This huge fort was built as a chief defense of Portuguese against the Ducth and Marathas. One can enjoy the pristine look of Sinquerim Beach from Fort Agauda. Talking about beaches, Baga and the Anjuna Beach are quite popular among the travellers. Long stretch sea shores of Baga Beach is amazing place to stroll while the flea market of Anjuna Beach steal the show. Numerous of souvenirs are available in here which can remain with you as a pleasing surprise. As Goa is a beach area, the city is remains humid most of the time during a year. November to mid-February are considered as the best months to visit Goa. To enjoy the weather of Goa more you can also enjoy visiting places such as Dudhsagar Waterfall, Mayem Lake in Goa, Arvalem Waterfalls, Chapora Fort and Candolim Beach. Amidst all, HotelDekho being a prominent player in hotel and tour packages is here to offer you impeccable services that make the tour and stay of guests smooth. Goa which flocks by numerous of travellers during a year and thus one can find n number of best hotels in Goa. Generally Goa is visited by leisure travellers therefore the Goa hotels are quite mesmerizing and apt according to leisure travellers. Hotels like the park calangute goa, hyatt place goa, Royal Orchid Beach Resort and Spa, resort rio are some of the bets 5 star hotels in goa. 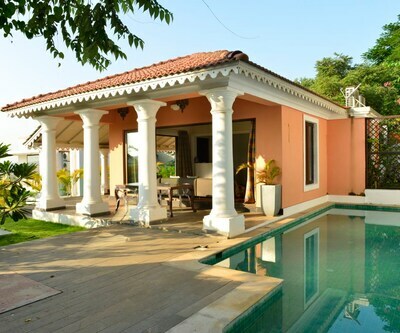 These luxury Goa hotel is all here to sooth your holidays. 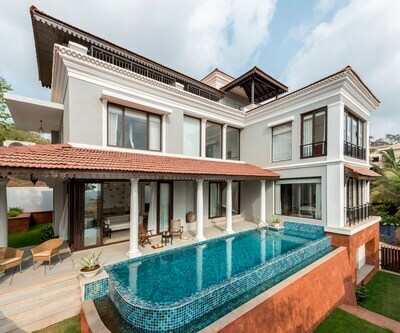 Goa is also has a plethora of 4 star hotels such as the flora residency, Lemon Tree Amarante Beach Resort and resort de coracao are just to name a few. 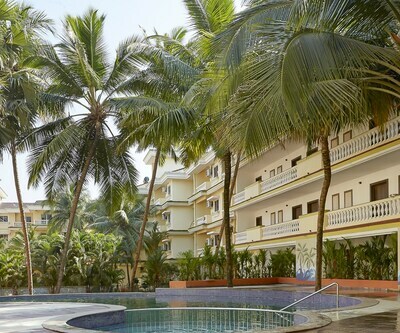 All those who wish to spend their money in a good range of hotel but in the budget, for that all can find numerous amazing 3 star hotels in goa. 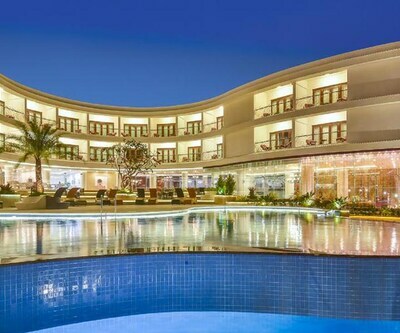 the grand inn, the ocean park resort, Casa De Goa Boutique Resort are some of the best example of 3 star goa hotels where one can relax under amazing facilities that too under moderate price. 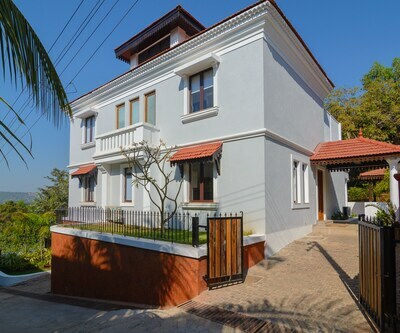 There are many travellers that are looking for the budget property, for them also Goa has a wide range of budget hotels such as romeos place guest house, seashore beach resort, The Goan Village Resort and many more that are considered as the best budget goa hotels. 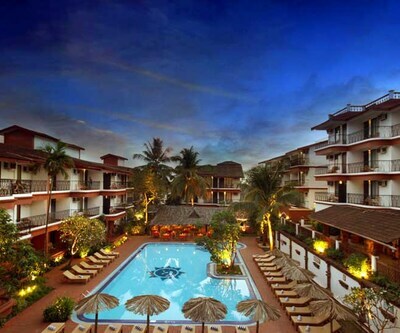 Apart from these hotels the state of Goa is also compact with many beach shacks that are worth staying. All these places for sojourn are nicely connected with the Railway station, airport and bust stand that will facilitate patrons. To make your sojourn more easy and relaxing, HotelDekho is at your disposable with its 24x7 personalized services that will take care of your tour and stay with personal touch. Kindly recommend the best beaches of South Goa for a peaceful holiday. The best beaches in South Goa are Palolem, Cavelossim, Varca, and Benaulim. The best hotels in South Goa near the beaches are Joecons Beach Resort Benaulim, Regenta Resort Varca Beach, Holiday Inn Resort Cavelossim, and The Gardenia Resort Palolem. Which are the beaches in Goa renowned for nightlife and parties? Kindly suggest some of the best hotels near those beaches. The beaches of North Goa are famed party destinations apart from offering world-class water sport activities. Baga, Calangute and Candolim beaches have several happenings pubs, bars, and night clubs. Some of the best hotels near these beaches are The Baga Beach Resort, The Baga Marina Beach Resort & Hotel, Acron Waterfront Resort, Resort Terra Paraiso, Silver Sands Serenity, and Seashell Beach Suites. Best season for visit goa.? Any good hotel near the Airport in Goa. 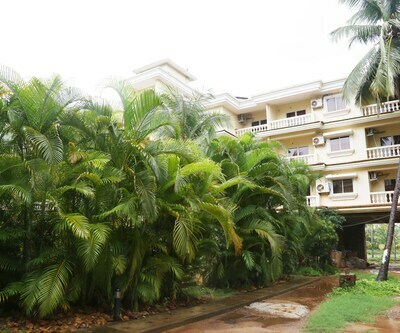 The La-Paz Gardens hotel is near the airport in Goa. Which are the Most Beautiful Beaches in Goa. Goa beaches unlike the other parts of the world have a long and broad coastline, which attracts a large portion of tourist around the world. Every beach in this lovely state has their own unique topographies and charm, but there are the top beaches like Palolem Beach, Benaulim Beach, Miramar Beach, Colva Beach, Calangute,Beach, Bogmalo Beach and Vagator Beach. Which are the best places to visit in Goa. Goa is the most popular destination for travelers in India. Below are the top destinations where you should have to visit. The top destinations list is Dona Paula for birds-eye scenery, Calangute Streets for a Shopping Ride, Fort Aguada for the view of Panjim City, Old Goa Churches & its History, Palolem Beach for a Miami feeling, Panjim City & the Church and Martin�s Corner (Celebrity Restaurant). What Are Some Nice Family Oriented Places to Stay in Goa? Goa is a holiday maker’s paradise, and the place is filled an amazing range of hotels that are family oriented and that make your stay comfortable and relaxing. 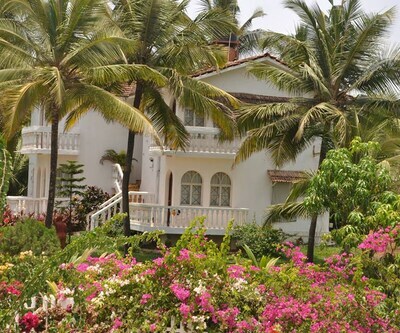 Some major family oriented hotels in Goa are Resort Rio Calangute, Alila Diwa Goa, and Taj Exotica Goa. If you are looking for hotels in 3000 INR so I can suggest you Colva Kinara that is situated at Colva and for 4000 INR I will suggest you accommodate at Joia do mar & Byke old anchor which are some of the best deluxe Goa hotels. What are the best hotels in goa near calanguate beach??? Calangute is a long sandy beach with lots of hotels and resorts nearby .Overall the Calangute beach is a nice attraction and easy to access from Baga beach and Anjuna beach. There are many hotels in Goa but if you are looking for best hotel its Chalston beach resort and the Park hotel. 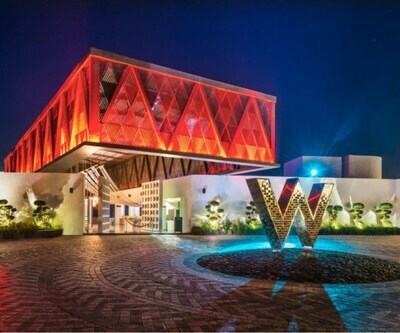 Which are the best hotels near airport in goa? Any good 3 Star Hotels in Goa for couples near Baga Beach under 2200? 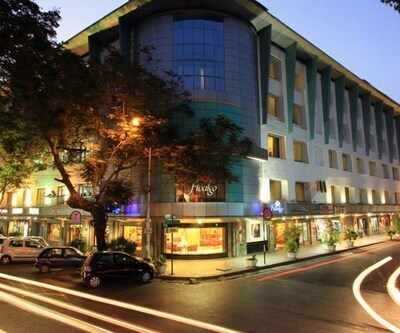 Hotel Lua Nova is good hotel in hotel near baga beach with good hospitality in your budget range.